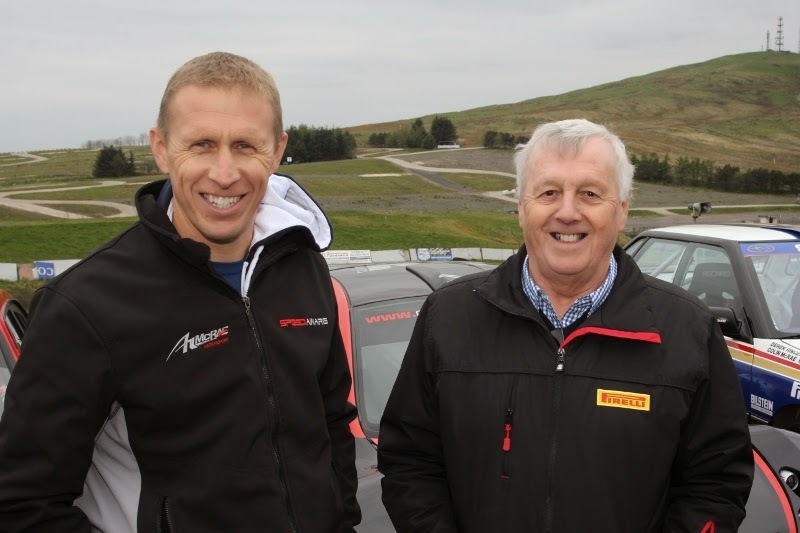 Huge crowds greeted and cheered the appearance of Argentine Rally winner Kris Meeke this morning when drove out on to the Knockhill track in Colin McRae’s 2003 Citroen Xsara World Rally Car. For the Citroen DS World Rally Team driver, it was a very emotional moment. When he won Rally Argentina just two weeks ago he dedicated his first World series victory to the 1995 World Champion, Colin McRae. Meeke is appearing in this weekend’s ‘McRae Rally Challenge’ tribute to McRae to commemorate the 20th anniversary of the UK’s first ever World Rally title which he won for Subaru in 1995. The Rally Challenge today consisted of 5 Special Stages using the Knockhill track and rally stage with 5 more stages tomorrow (Sunday 17th May). Leading after this first half of the Rally Challenge is Alister McRae driving a Proton Satria car similar to the won in which he won the FIA Asia Pacific Rally Championship four years ago. He has a 6 second advantage over 5 times Scottish Rally Champion David Bogie in his Ford Fiesta R5. 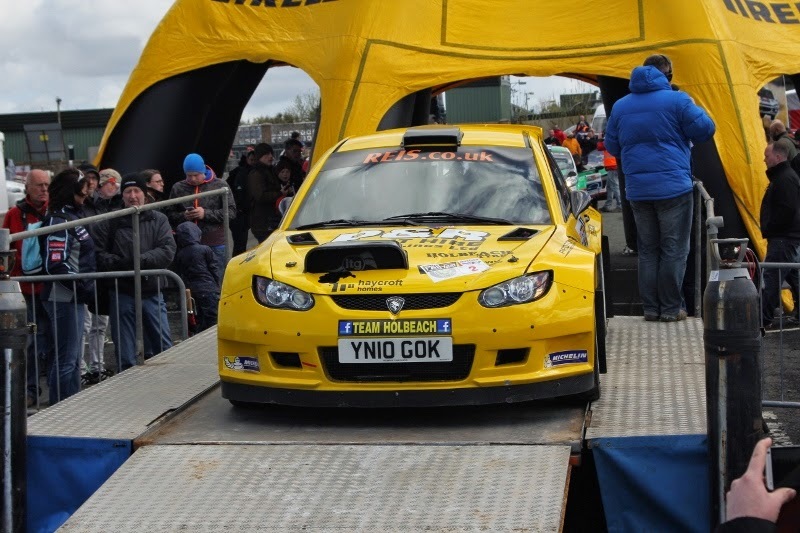 In third place is rising Cumbrian star, Aaron Newby in a Subaru Impreza.